We are proud to announce that we are an Elite Redken Salon! Are you looking for that perfect haircut, haircolor, texture, or more radiant skin? Perhaps you're searching for a beautiful salon because you're new to the area. Maybe it's just time to find a new, experienced and friendly stylist or esthetician. 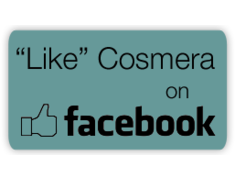 Welcome to Cosmera Hair Studio! We truly appreciate your visit to our website and can't wait to meet you in person! You have just gotten one step closer to fulfilling all of your hair and skin needs. We offer a full array of products and services that we are sure will more than please you. 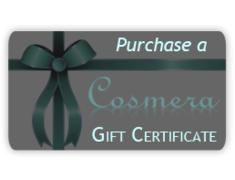 Cosmera Hair Studio is Lady Lake's top hair salon! We serve Lady Lake, The Villages, Leesburg, Wildwood, Summerfield, and all other surrounding areas. We are conveniently located off of HWY 441 in the Village Crossroads Plaza, right next door to Five Guys Burgers and Fries. Our facilities are kept exceptionally clean and bright and are sure to make you feel secure and well taken care of. We are a full service hair salon that offers haircolor, haircuts, highligts, waxing, hair extensions, Keratin teratments and facial services .Check out our menu under the services tab to learn more! 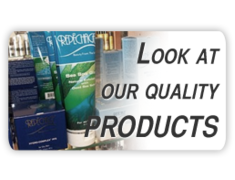 We carry Redken, Pureology, Morocanoil, Keratin complex, brazillion Blowout, and VIRTUE . We use Redken hair color and offer a variety of special treatments to make the most of your hair and your experience with us. All of our Hairstylist and estaticians are licensed, insured, and well trained experienced professionals. The creativity and exceptional skills that we offer often exceed expectations and are guaranteed to completely satisfy. We pride ourselves on being the friendliest hair salon in the area and try to make each and every guest feel comfortable in our salon. We believe that every guest should be treated with the utmost respect and dignity and have an amazing experience that provides beautiful results. Our friendly and welcoming staff provides a wonderful atmosphere in which our clients can experience a full array of services. As soon as you walk through the door, you will feel the positive, relaxed and joyous energy! Our goal is to make you happy, feel beautiful and have a great time! Everyone deserves pampering and we will do just that! You are the star at Cosmera! It's Cosmetology for a New Era!